The Princeton Review was founded in 1981 and has been a long time leader in the test-preparation services industry. They’ve helped thousands of college students achieve their higher-education goals through their services. Their comprehensive DAT preparation courses provide you with everything you need to prepare for the DAT and be satisfied with your scores – they guarantee it. The Princeton Review has been a long time frontrunner in the DAT preparation industry. Although they may be overlooked at times, they’ve revamped their review courses over the last year and they’re top notch and deserve a serious look when deciding what DAT prep materials to use. The practice exams and simulations are presented in the same computerized format you’ll see on your test day including the proper time limits, break policies and rules for moving through the exam content. This familiarizes you with the Dental Admission Test format and helps build your confidence so you will crush it on your actual exam day. The Cracking the DAT textbook with 880+ pages of information covers every topic that will be on the DAT. This book will help you establish a solid foundation for every section of the Dental Admission Test as well as serve as a resource to look to for understanding. These materials will serve you well in your studies. With hundreds of questions and four full-length practice tests, you’ll have plenty of problems to solve and become familiar with the format that you’ll see on the actual DAT. I like how they include several practice questions following every section of review content in the Cracking the DAT book so that you can check your understanding after reviewing the material. They also include solutions to every practice question, which is crucial for learning and understanding. Analysis Reports are generated for each practice test you take and help to identify your weakest areas and how to best adjust your preparation in order to improve your scores. They analyze each section of the test by question type and provide a comprehensive performance analysis. They are very detailed and even offer specific advice tailored to your results. They’ll also advise you on what areas to study and focus on based on your results. What really impresses me about The Princeton Review is their attention to detail. They offer thorough explanations in all subjects so that you are never left in the dark. They provide explanations about the DAT, including a general overview, scoring information and information about dental schools. You’ll always know what to expect and how to prepare for it. Princeton Review even offers advice on what to do in certain sections when you get stumped or are unsure. There are syllabi for each subject, which lists what to do before class, the goals for the class period, the in-class activities, what homework should be done after class and what is needed for next time. They’re very well structured and organized. They’ve thought of everything and have prepared a thorough and effective comprehensive review course. There are effective test-taking strategies for every section of the DAT in Cracking the DAT. They offer multiple strategies for each section so that you can find a strategy that works for you. There’s a 16-page reference guide at the conclusion of Cracking the DAT that’s a great condensed resource to study from, whether you’re on the go or want a quick refresher. The guide contains the most important formulas, diagrams, information and concepts for each section of the DAT. By purchasing any of their review course packages you’ll receive materials to help you enhance your skills for the Perceptual Ability Test. These hands-on materials can be manipulated to visualize and practice for the Angle Discrimination (Angle Ranking), Paper Folding (Hole Punches), Cube Counting and 3D Form Development (Pattern Folding) sections of the Perceptual Ability Test. There’s also additional worksheets and materials online in the Student Portal for students to gain additional practice with for the PAT as well as other sections of the DAT. Readiness Guarantee: If at the end of your course, you do not feel ready to take your test, you may continue to work with them for up to a year. Satisfaction Guarantee: If at the end of your course, you are not satisfied, regardless of how much your score improves, then you can continue to work with them for up to a year. Money Back Guarantee: If your score does not improve after taking the course, you may receive a tuition refund. Each eligible student may only choose one of the guarantee offers applicable to their program. You must attend all program sessions, take all assigned tests and complete all of your homework in order to qualify for their guarantees. The Readiness Guarantee is not available for private tutoring programs, whether in-person or online, or self-paced online courses. LiveOnline students are required to mail in all homework in order to demonstrate they’ve completed all of their homework. You will not be provided with new materials unless there has been a material version change. The Satisfaction Guarantee is not available for private tutoring programs other than comprehensive tutoring programs (minimum of 30 hours) or subject tutoring programs. 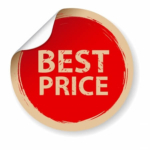 The Money Back Guarantee is available to anyone taking a DAT course, except for self-paced Online, subject tutoring or tutoring for less than 30 hours in the Comprehensive Private Tutoring Program, and your test score does not improve, then you are eligible for a full refund. You can enroll online to take a full-length DAT practice test for free. I’d recommend doing it before you’ve begun your studies so that you can see how well you do and identify what areas you’ll need to improve. Most likely you’ll have to improve in every area, but you can at least take the free practice test to have a baseline that you can compare against. 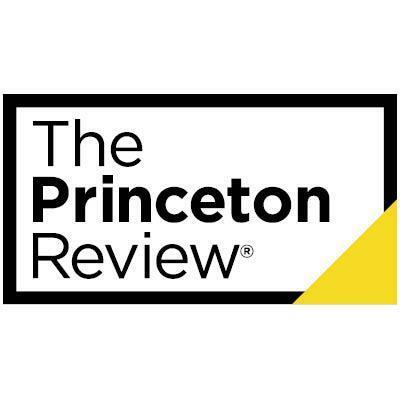 With a variety of courses available, The Princeton Review makes it possible for any type of learner to receive instruction in the way that serves them best; whether that’s working alone, attending a class in-person or online, or working with a private tutor. All of the material except Cracking the DAT, the Workbook, the In-Class Compendium and the PAT manipulatives are available online – the books and PAT manipulatives will be mailed to you. It’s not necessary to download any software in order to access the content online which means that you have easy access to your review course anywhere there’s Internet. Out of all of the DAT preparation companies that I have dealt with they have some of the best customer service. They have always been respectful, punctual and understanding when I have dealt with them. The quality of customer service is a reflection of the company and its product as a whole in my opinion. I’d be reassured that a quality company like this will give you a quality product that you can trust. Princeton offers an exclusive discount for Crush readers. The Princeton Review can provide you with a solid foundation for the Dental Admission Test and can help you to achieve 20+ scores on all sections of the DAT; however, supplemental practice questions and practice tests are always helpful and the extra practice could help make you more well-rounded and better prepared for the DAT. Live in-person courses offered by The Princeton Review are very limited in where they offer. You can check online to see where the closest available courses are to you. Their live courses might not be as accessible to everyone, but they still have exceptional online courses that are available to anyone anywhere. I would highly recommend Princeton Review’s Ultimate Live Online Course to anyone who is serious about scoring high on the DAT. It provides you with everything that you would get from their other packages and it is more affordable than most. The textbooks, practice questions and full-length tests that you’ll have access to will be vital to your preparation. They’ll help you establish a foundation and familiarity for each section of the DAT and serve as a resource to look to for further understanding and knowledge. They offer the most thorough and detailed comprehensive review course that I have seen. It is obvious they put in the time to cover all the bases when it comes to preparing for the DAT. They have a very well-structured and organized course along with the exceptional instruction by their highly trained subject experts. Their newly revamped DAT review courses are definitely one to consider and although they’re not cheap I feel that any diligent student will be successful in achieving their goals for the DAT with one of their courses. Feel free to comment below or message me with any questions you may have about The Princeton Review DAT prep courses! This course gives you a set schedule of live classes at a Princeton Review learning center and direct support from instructors in a classroom setting. This is for the person that prefers learning in a classroom setting with an instructor present. This course gives you a set schedule of online classes and direct support from instructors. This is for the person that prefers learning and studying alone, yet still wants the option to receive online support from an instructor if necessary. 3. In Person Small Group: Receive individualized attention as you review the content and learn the test-taking skills for the DAT from 3-5 subject-matter specialists. Get extensive personal feedback based on your strengths and weaknesses and focus on what you need to master. Thrive in a learning environment with a high level of student-teacher interaction in a small group setting with a maximum of four students per class. You can select your own small group made up of friends or classmates and establish a convenient time and place for your instruction. Access to the online content of the course begins 10 days prior to the course start and lasts for 120 days. This course gives you a set schedule of live classes at a Princeton Review learning center or at your own designated site and direct support from instructors in a small group setting. This is for the person that prefers tailored and individualized instruction to meet their needs with an instructor present. Comprehensive packages: A 30-hour program that’s perfect for students who want in-depth prep covering all sections of the test. All comprehensive packages come with The Princeton Review score-improvement guarantee. Pay-as-you-go packages: A tutoring package that’s completely customized to your needs. You can choose to focus your tutoring sessions on a specific section of the DAT and make no commitment beyond the initial three hours. Just add more as needed. In-Person: Face-to-face, personalized tutoring at your home or another convenient location. They work around your schedule to meet whenever and wherever works best for you. Online: Receive one-on-one coaching from the most experienced and sought-after tutors, regardless of your location. All you need is a computer and an Internet connection. This course allows you to go at your own pace and set your own schedule. It provides you with live instruction and direct support from a private tutor. This is for the person that prefers learning directly from an instructor, but in a private setting rather than in the classroom.